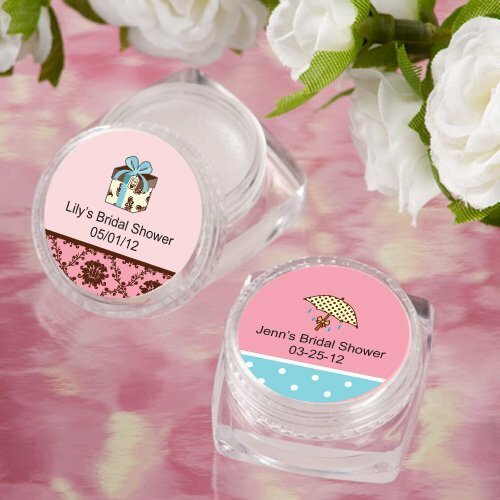 Give your bridal shower guests a favor that's sealed with a kiss! 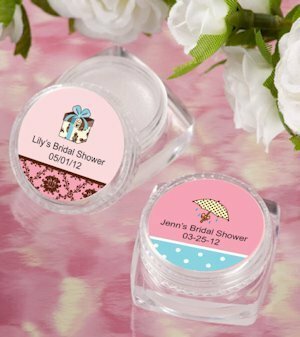 Our charming little lip balm personalized bridal shower favors are a perfect way to say "thank you" for sharing in your special day. Choose from a variety of designs and colors then add 2 lines of custom text for a unique touch.